You are having a new baby! Congratulations! You’ve probably already had several opportunities to answer that age-old question, “What gender are you hoping for?” And it is likely you responded with something like, “I don’t care as long as my baby is healthy!” Thanks to new scientific research, your chances of delivering a healthy baby are constantly improving. We are going to play a quick game of “Bad News/Good News.” The bad news: gestational diabetes may cause complications in your pregnancy. Several factors may put you at risk of developing gestational diabetes. If diabetes runs in your family, if you are overweight, not very active, or over the age of 40 you are at risk of developing gestational diabetes.1 Gestational diabetes can cause jaundice, high birth weight, trauma during birth, increase necessity for C-section, and increase likelihood of obesity or diabetes in the child.1,2 Gestational diabetes also puts a new mother at risk of developing Type 2 Diabetes, which can require insulin injections and other treatments to control. A research study published in the Journal of Maternal-Fetal and Neonatal Medicine was designed as a prospective, double-blind, randomized controlled clinical trial which compared a placebo group to a group of mothers who supplemented with myo-inositol twice daily.3 The myo-inositol group had significantly better outcomes including lower maternal BMI, longer gestation at the time of delivery, and decreased abnormal oral glucose tolerance test results. The oral glucose tolerance test is the standard screening measure for gestational diabetes. One limitation was that the study was relatively small. Some of the data may have been statistically significant if there had been more women involved in the study; for instance, the myo-inositol group had a lower incidence of neonatal hypoglycemia, but the data was not quite strong enough to be statistically significant. Another interesting statistic is that 21% of women in the placebo group required insulin therapy, while only 3% of women in the myo-inositol group required insulin therapy. While larger studies may be needed to validate this data, this study demonstrated that at least 50% of women who take myo-inositol may benefit from the treatment.3 Since the current standard of care for prevention of gestation diabetes is diet change and monitoring blood sugar, myo-inositol may be an easy and beneficial way to minimize complications from gestational diabetes. It also has a promising potential to minimize the requirement of insulin injections. Gestational diabetes can have some scary consequences for you and your baby. Based on the evidence, I would recommend that any mother who has increased risk of gestational diabetes should discuss supplementation with myo-inositol with their medical provider. 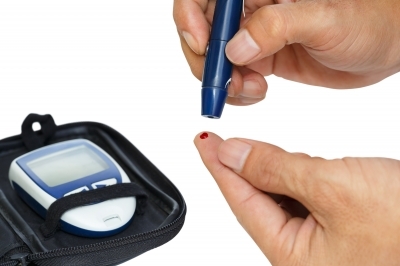 It could help prevent or minimize problems associated with gestational diabetes. Myo-inositol may be expensive and may not be easily accessible to all; since it is commonly used as a preventative supplement, do you think that pregnant women at high risk for developing gestational diabetes should consider it as an option? *The manufacturer suggests that the drug be taken four times daily, but in studies, the 2000 mg dose was only recommended twice daily.3 Also, this will help decrease the cost of the drug. **Note: The Cochrane Collaboration is working on a new study to further describe the dosing and efficacy of myo-inositol as a treatment/ prevention method for gestational diabetes and it should be released soon. Available at: http://www.cdc.gov/diabetes/pdfs/library/diabetesreportcard2014. Accessed October 14, 2015. Brown J. Myo-inositol for preventing gestational diabetes. Cochrane Database Of Systematic Reviews [serial online]. February 2, 2015;(2)Available from: Cochrane Database of Systematic Reviews, Ipswich, MA. Accessed October 11, 2015. Available at: http://www.mayoclinic.org/diseases-conditions/gestational-diabetes/basics/treatment/con-20014854. Accessed October 21, 2015. D’Anna R, Scilipoti A, Di Benedetto A, et al. myo-Inositol supplementation and onset of gestational diabetes mellitus in pregnant women with a family history of type 2 diabetes: a prospective, randomized, placebo-controlled study. Diabetes Care [serial online]. April 2013;36(4):854-857. Available from: MEDLINE, Ipswich, MA. Accessed October 11, 2015. Available at: http://www.fairhavenhealth.com/myo-inositol.html?cmp=bing&kw=myo-inositol&utm_source=BingShopping&utm_medium=CSE&utm_campaign=myo-inositol. Accessed October 14, 2015. Costantino D, Guaraldi C. [Role of D-chiro-inositol in glucidic metabolism alterations during pregnancy]. Minerva Ginecol. 2014;66(3):281-91. Available at: http://www.theralogix.com/index.cfm?fa=products.ovasitol.default&dvsn=reprohealth. Accessed October 14, 2015. Available at: http://catalog.designsforhealth.com/Sensitol?quantity=1. Accessed October 21, 2015.